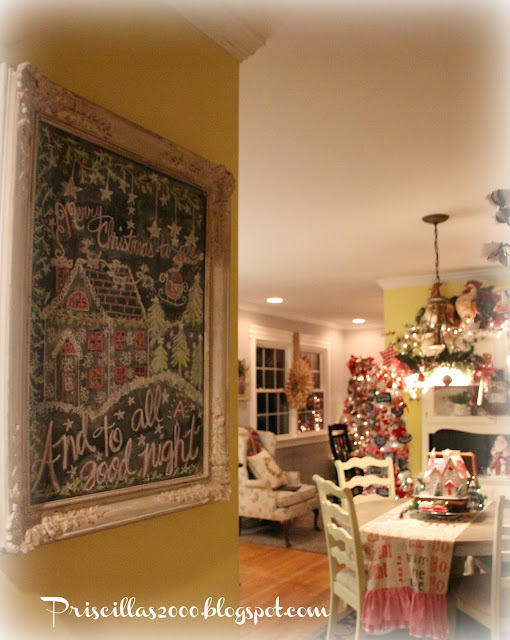 I finally got around to changing the kitchen seasonal chalkboard to a Christmas scene instead of a bunch of smiling Jack O lanterns ! This fall has been a whirlwind with traveling every weekend to my son's football games.. as you read this I am in sunny San Diego ! 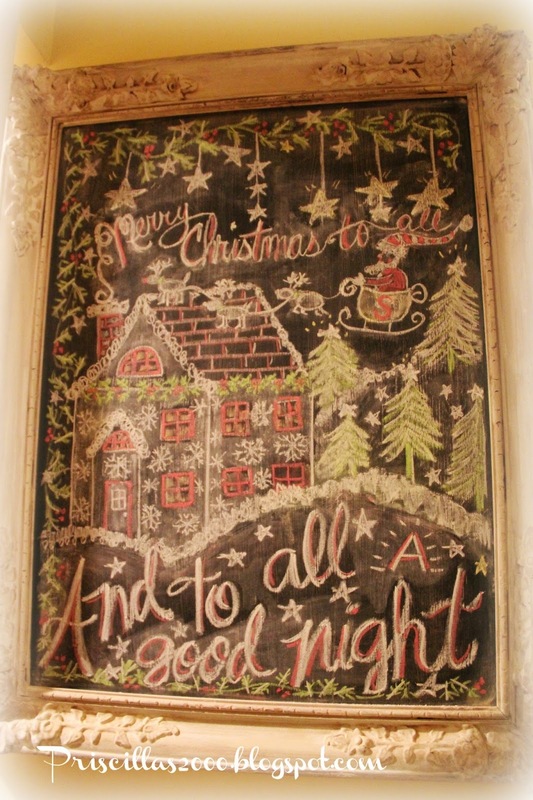 I do have 12 of our 13 trees up and I am hoping the Christmas village will be done tomorrow ( that is my husband's contribution to our Christmas decor) and I am writing this on Wednesday the night before Thanksgiving..We still need our real tree but I want to wait until we get back to buy that . 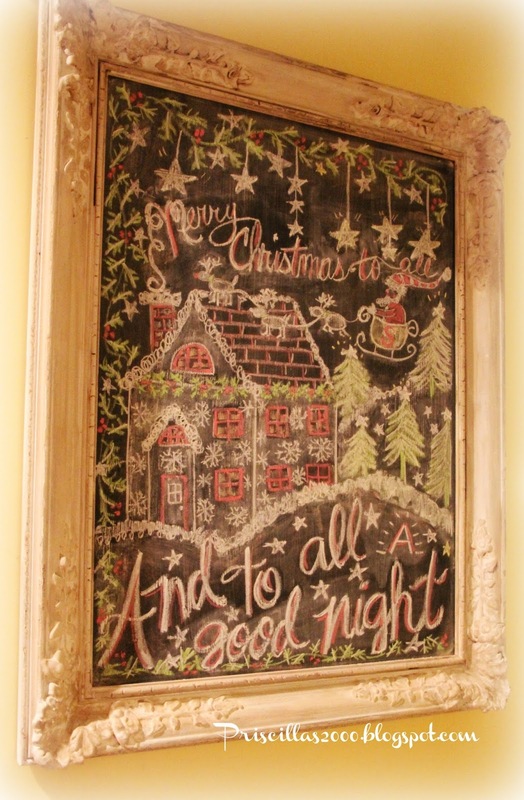 Anyway ..back to the chalkboard .. :) I knew I wanted Santa and his reindeer .. so this is what I came up with with a little doodling! 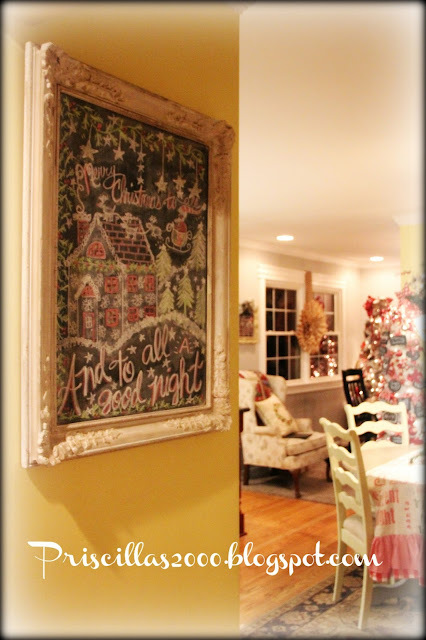 The frame is from a rummage / garage sale with a board cut to fit and painted with chalkboard paint.. It hangs on the wall into the kitchen from the family room and is one of my favorite seasonal decor pieces! I hope you all had wonderful Thanksgivings! This is the first year in forever that I am not cooking.. My daughter will be doing the cooking tomorrow ..so I am excited about that! I love seeing your chalkboards...so whimsy and beautiful!!! What chalk do you use...the color really stands out! I always enjoy your stitching too because I'm a stitcher! Great home!!! Hope your Thanksgiving was delicious with your family:). 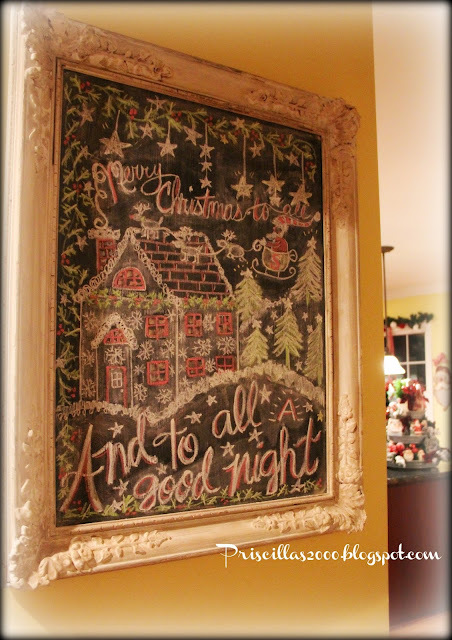 Love the Holly Jolly Santa chalkboard! 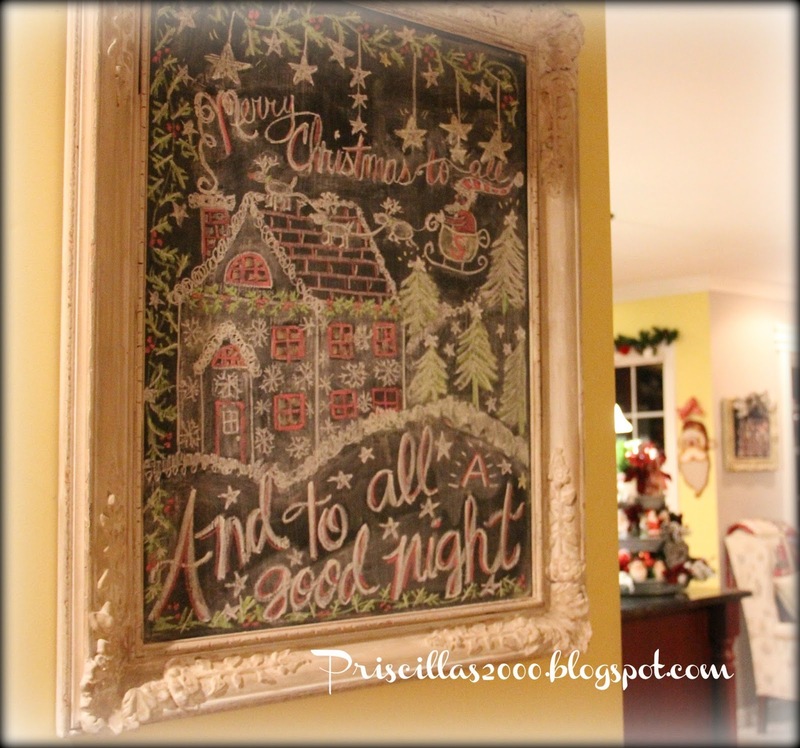 Such a great new chalkboard, Priscilla! Not sure how you manage all that you do in addition to flying to see your son play each week :) Hope you had a lovely Thanksgiving--it's nice to have a break from the cooking!